Christopher Ives, PhD, is a professor of Religious Studies at Stonehill College. 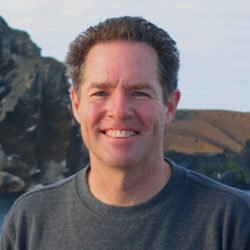 In his teaching and writing he focuses on modern Zen ethics, and he is currently working on Buddhist approaches to nature and environmental issues. He is the author of Zen on the Trail: Hiking as Pilgrimage, Zen Awakening and Society, and Imperial-Way Zen: Ichikawa Hakugen’s Critique and Lingering Questions for Buddhist Ethics.